You may have heard it, the US Department of Commerce states that franchises have a 90% success rate. On the other hand, the success rate is only 20% for more traditional businesses according to Forbes. The contrast is simply starling. We all know that none of the fast-food chains serves the best food or has the best service, yet we frequent them because they are consistently reliable and always meet our needs. The reason why they’re reliable is due to fact that they receive strong training programs and ongoing operational support from the franchisor. Take any fast-food chain for example; every employee in any chain is trained to execute the tasks so well that they seem effortless in doing what they do. And when you, the franchisee, hit a rough patch, there will always be someone from the network providing assistance to you. Apart from that, buying a franchise has fewer risks than starting a new business. In a way, buying a franchise is like not having to pay for all the expensive mistakes that they have learnt before you. They just share with you and handover to you. However, there isn’t such a luxury when you start a new business. The main complaint from franchisees is that they don’t have the flexibility to offer any selective products or services they like, in any geographical territory they like. Also, you may be required to pay ongoing royalties and advertising fees to the franchisor. The process of due diligence before buying any franchise is highly important. 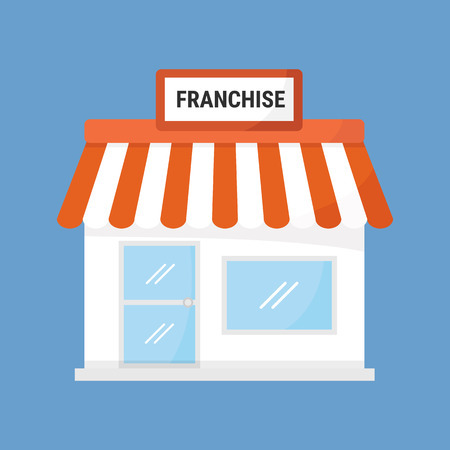 Not all franchisors have a solid track record of success, nor a strong brand name; they may not even be trusted by the public at all and that can significantly impact your revenue outlook. Many entrepreneurs love the experience of starting a new business, even with its up’s and down’s and they wouldn’t want to trade that experience for anything else. They embrace change and innovation for continuous improvement, thereby creating strong followers and loyal customers who become their advocates. When they hit a rough patch, they get support from professional groups. Ultimately, they create their own legacy, which is something that being a franchisee may not able to achieve. If you don’t have a big budget to buy a proven franchise, yet don’t want to risk starting a new business, you can always consider buying an existing independent business. Which route is right for you depends largely on your budget. At TaxAgility, we can provide impartial financial services on your overall financial plan. A healthy financial plan allows you to invest your money as efficiently as possible, positioning you better to invest into a franchise, start a new business or buy an existing one. Many independent businesses, ranging from cafes, creative agencies, tech start-ups, to professionals in the medical and legal fields use our Accounting, Tax and Payroll services. We work alongside these small and medium sized businesses to provide accounting and tax advice, as well as helping spot issues on the horizon that may represent potential problems. Contact TaxAgility today on 020 8780 2349 or get in touch with us via our contact page to arrange a complimentary, no obligation meeting.